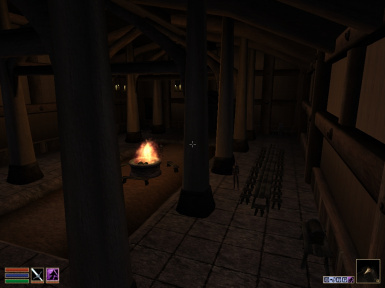 A new meadhall in Solstheim that have shops and is twice the size than Thirsk. And has 18 new quests. If you are uploading this file to another site please warn me about it my PMs or commenting on this page. If you want to convert this mod to another laguage you need my permission to do so. And if there is a glitch do not make a patch for it unless it is conflicting with another mod but comment on this page that you have released a patch for the two mods. If there is a glitch in this mod just report it to me by PMs or a comment on this page. You may make a mod that requires it or expand this mod. If you have a question just PM me. I will like to thank Timeslip and LizTail for making MGE. I will like to thank Gorg, Arathrax and Motoki from Planet Elder Scrolls for Better Heads. 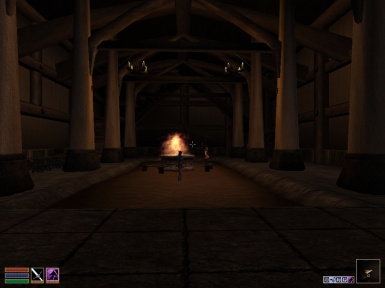 A new meadhall is added in northwestern Solstheim called Rhysk. It is twice the size than Thirsk and seems like a village under a roof with shops. It has a trader, bar, two smiths, alchemist, bookseller, and a clothier. And It comes with three new miscellaneous quests and a new faction called the Solstheim Defense which is adds 15 new quests to make it more funner. And if you kill a character that is part of a quest they will respond and quest items do not appear until the quest begins just somewhat like in Oblivion. 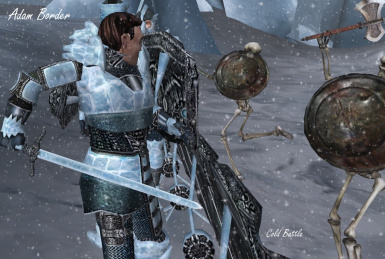 The Solstheim Defense questline is about helping defend Solstheim from these mages who are after a powerful staff called Icejiff and you must fight the mages of and search for the staff. And you cannot get expelled from the Solshteim Defense. And if you get stuck in the quests use the game guide I made. 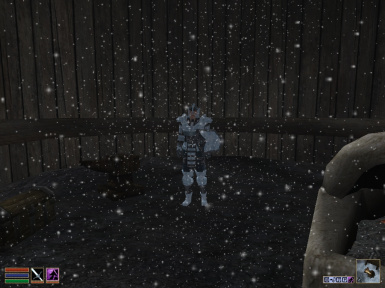 And an easier way to get access to Stalhrim (Ice) armor and weapons. It is just north of the Water stone if you know where that is. And just Northwest of Hvitkald Peak. Watch the Trailer to this mod. Make sure you also download the Rhysk Patch. The Solshteim Map with Rhysk makes Rhysk show on the map. If you use Rhysk And Thrisk 2x then don't use the Solshteim Map with Rhysk. 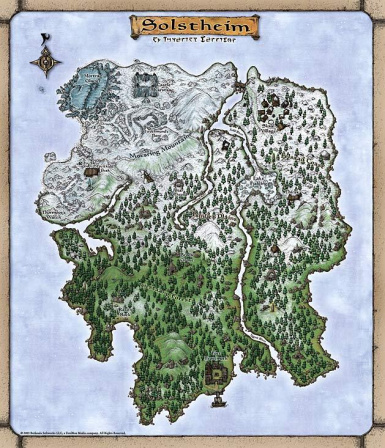 Instead use Solstheim Map With Rhysk And Thirsk 2x. The optional files such as Rhysk Better Heads Fix is if you only use Better Heads and it will make the NPC beards colour match their hair colour. The Rhysk MGE Fix is a file you do not activate in the Data Files when you are playing Morrrowind. Just use it when you are generating Distant Land in MGE. You do not need to use the Rhysk.esm in Distant Land generating. 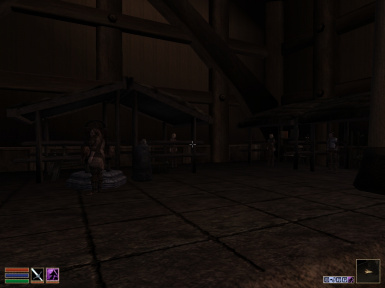 For a video showcase watch it here in Morrowind Modding Showcase - Episode 36. 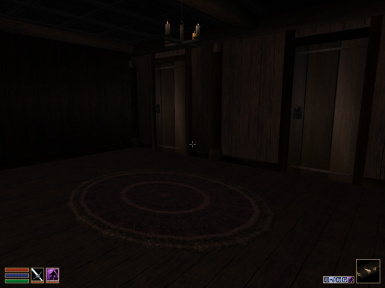 And if you play Skyrim also look at my Skyrim Relicment mod. There is a mod that requires Children that will add children in Rhysk. You can download it here. There is a mod that requires Duel Wielding that will add the Stalhrim Shortsword. You can download it here. 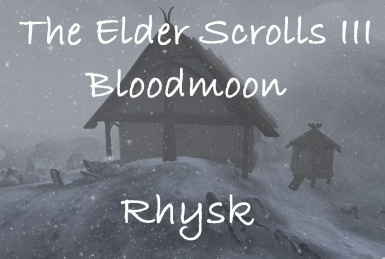 There is a mod that requires Job mods that will add jobs in Rhysk. You can download it here. There is a mod that requires Toddlers that will add toddlers in Rhysk. You can download it here. To install just download then extract folder and drag the master/plug-in file into your data files folder.